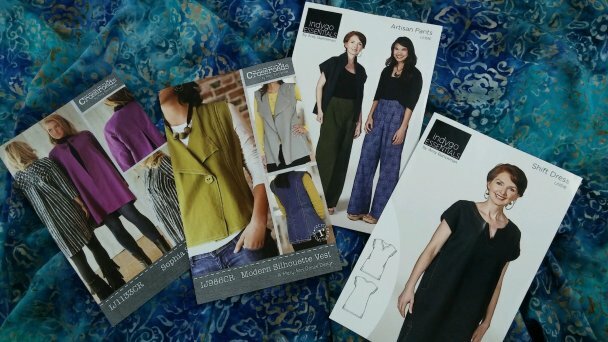 New patterns and more this week! We received a shipment from Indygo Junction that includes some familiar favorites and a couple of newbies as well. Here is a pic laying on a piece of our rayon batik. That fabric is easy care-machine wash on delicate, shake out, put in the dryer for a few minutes, then hang to dry. Great for traveling, too! 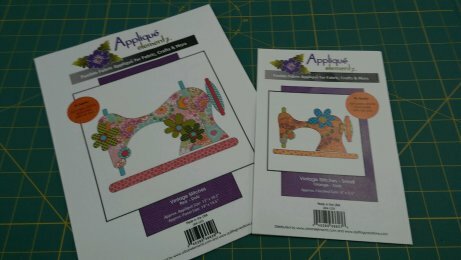 We have a great line of laser cut pre-fused appliques that have arrived. These are great for a quick but showy project. And you can fuse them to almost anything--Fabric, paper, or even wood. These will get you in the mood. How about a quick wallhanging? Fuse, edge stitch, and machine or hand quilt. We saw these at market and they were so fun! 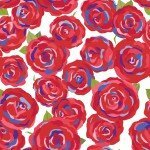 Coming up Roses by JLily Studios for Penny Rose Fabrics is a great new line. 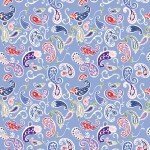 We have several patterns that feature this fabric. 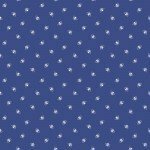 It's a new look for Red, White and Blue! We are finalizing the plans for our Quilter's Weekend, Sept. 22, 23, & 24th. We have reserved the Rotary Building on the square just a block away from the shop. You'll be able to work on projects and we will have some special sessions as well. You can sleep in your own bed or stay at one of our local hotels for a getaway. The cost will be $175 and we will be posting more soon. Check the website on August 1st for details and to reserve your space.